This is an article that I had planned to write but had slipped my mind until I was reading an article about slowing home sales in Denver. A year ago an article on this site told of how surprised I was to find buyers had thrown caution to the wind when the county where I live had its annual tax sale. Basically, this is an auction type sale of all the properties that owners had failed to pay property taxes on or those that had fallen delinquent. One thing was very clear at the time and that was the combination of too much money chasing too few properties was creating a bubble in this market. This article is a "twofer," it is about the interesting and risky world of investing in tax sale property and about how this market appears to be rapidly cooling including a few ideas as to why. Many of the people entering this area of investing seemed to have cast aside the fair degree of risk involved when it comes to bidding on such properties. When you are the high bidder you must immediately pay the amount you bid then wait for a year while the current owner has total ownership rights to the property. During that time if the owner brings the taxes current including penalties and interest they get to keep the property and the buyer or bidder gets a hefty amount of interest on what amounts to a loan. It may be important to note that this year the sale had a far more subdued feel about it and that bidders seemed more in check. Behind the diminished unbridled lust for these properties could be several factors such as rising bond yields, money is getting more difficult to borrow, a sign the housing market has topped, or simply the return of common sense. While prices have soared at local tax sales after QE took effect several issues exist relating to the learning curve that new bidders may be unaware of, most of this surrounds the risk they may be overlooking in their enthusiasm for a good return on their investment. Increasing the risk is the fact that seminars are being held telling people this is a fast and easy way to increase the yield they receive on investments and that if the person is unable or simply does not redeem the property the bidder stands to get a very valuable property for a fraction of what it is worth on the open market. 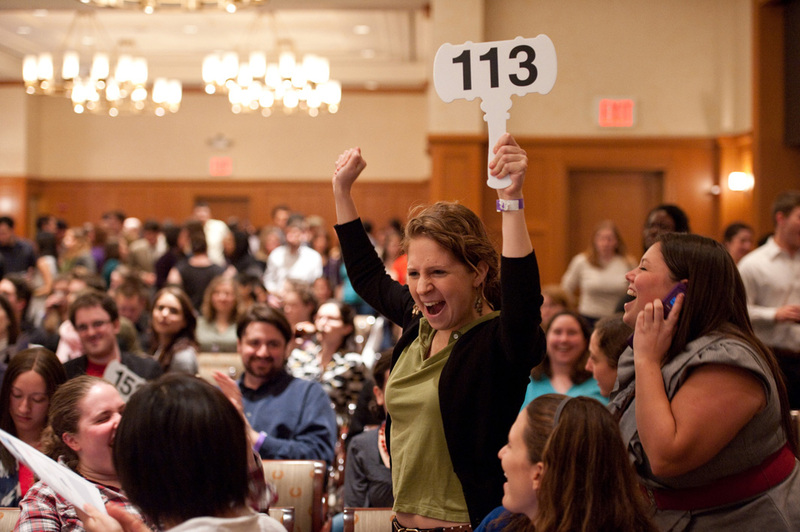 Unfortunately, this means you will be bidding against people coming from a seminar or investment workshop loaded with fresh knowledge and are so eager to "get a bargain" that they go plum crazy when it comes to price. Are You Buying The Property - Not The House! While I will not argue that a buyer may get lucky and pick up a gem for below market price it is just as possible they may get far more than they bargained for in the way of grief. Higher tax sale prices in recent years are a testament to how QE and low-interest rates are driving people into a frenzy in search of higher yield and how in doing so many of them take undue risk. Speculators now go from town to town with a slew of money both their own and that of investors placing high risks loans in a market they know little about and have had little time to research. This means many of these people really have no idea what they are buying and they often forget just how much prices can vary in different areas, even within a city, location is everything. With many of these buyers not being real estate savvy and lacking the time to even drive by the property as well as an inability to do the due diligence required they often find that they wind up buying a pig in a poke. Tax sale properties can suffer from a number of problems such as pollution issues, flooding or sewer issues, and any property put on the sales block because of unpaid taxes generally has a great deal of deferred maintenance. It is important to remember the owner of these properties receives all monies bid in excess of the minimum bid if they do not redeem the property, this means if only 1,500 dollars of tax and penalties are owed on a house and it sells for 40,000 dollars at the tax sale the owner whether it is the person living in the house or even the mortgage holder has a claim on the overage. If the property has enough issues do not be surprised if they take the money and run. The flaw in bidding too much is that you may not get your ten to fifteen percent interest as promised but may indeed get the property and rather than a gem it might turn out to be a lump of coal. This can be even more of a problem for buyers from outside the area who can live hundreds or even thousands of miles away. Staying with the example above the property owner behind roughly a thousand dollars in taxes sees five hundred dollars of penalties and auction fees added on but thinks they will be given a full year to come up with what they think will be around seventeen hundred and fifty dollars. This figure is arrived at by adding fifteen percent interest to the minimum bid of fifteen hundred dollars. Owners of property that are struggling to pay taxes often have bad credit and other financial problems leaving them stretched to the limit, with this in mind many who cannot come up with a thousand dollars have little ability to raise a great deal more. Fifteen percent of the forty thousand dollars used as an example above comes to six thousand dollars, which would bring the amount needed to redeem the property to seventy-five hundred dollars, this is an amount totally out of their reach for many of these people but that does not mean they will go gently into the night. 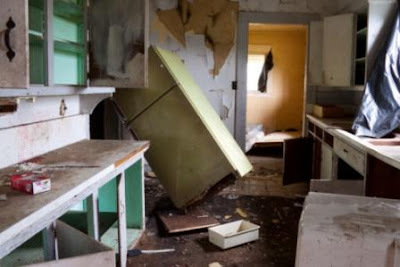 Anyone thinking a person having a property taken from them will turn it over clean swept and in good condition will most likely be proven a bit over-optimistic. As I stated earlier in this article the current owner has total ownership rights to the property and a year to redeem the property. If it is rented it allows the current owner to squirrel away the rents, if empty they can remove or sell off key components of the building such as the heating and cooling system. 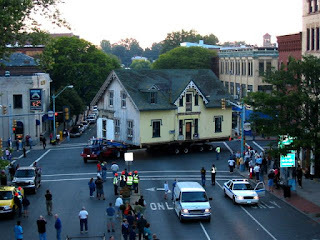 During that time while a bidder waits for a Tax deed to be granted some rather ugly events can take place. If a fire occurs if insured by the current owner he or she would receive the money and most likely not repair the property if they were about to lose it. In some cases, a house or building is condemned and demolished by the government and a lien for the cost put on the property meaning the bidder would get an empty lot and a rather large bill. The picture above of the house being moved should be warning to anyone buying at a tax sale that it is difficult to know what you are buying.